The earth is, above all, the planet on which life comes forth. For although we search for life on other planets and moons, and speculate about all the possible candidates for life across the galaxy, here on earth – life cannot be hidden. It is everywhere! Indeed, life on earth can hardly be stopped. Even in the inhospitable depths of the Philippine Trench in the Pacific Ocean (10,000 meters + deep), or the sulfurous vents of deep ocean volcanic spots with extreme temperatures and pressures of ocean – there is life. 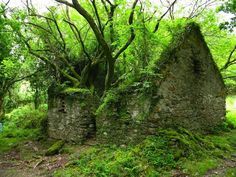 We spend frightful sums of money to poison insects and undesirable weeds, and yet they remain. Civilization is but a small island carved out of the teaming jungles of earth. When human beings pause, the jungle returns. Life on earth is inexorable. Our own bodies carry this same life. Though we battle with bacteria and viruses, it is a battle of life. A virus takes up residence in our respiratory tract – our body fights back. It is a battle that matches life against life. Most often we win. This same life that “moved over the waters” in the beginning is heard by the Church as the sound of a “rushing mighty wind,” some fifty days after Christ’s Pascha. And like the inert earth in Genesis, suddenly the Church springs to life. That first day of Pentecost, 3,000 members were added. And the Church has continued relentlessly through the ages. Despite persecutions and cultural shifts, falling empires and rising philosophies, the faith that began as a small seed of 120 souls on the Sunday of Pentecost, continues to spread. It is inexorable. There was a recent study that described a “decline in Christianity” in America. There is doubtless a decline in something, but not in the life of Pentecost that still rushes through the world and feeds the living Church. The most inhospitable cultures and regimes still harbor hidden churches in their midst – and they grow. The same Spirit that blew so loudly on Pentecost continues to blow to this day. It blows through Baptism and makes the waters to be the place of the death and resurrection of Christ. It hallows the Holy Chrism and fills the Church with the sweetness of its smell. That odor of sanctity frequently flows from the relics of God’s saints, and sometimes signals their presence when they might otherwise be missed. It flows in the lives of individual believers as the grace that sustains and empowers all things. The goodness of God is evident in every living thing. It is evident as well in our own lives. It is distortion and delusion that make us blind to what is obvious everywhere. I often wonder at those who do not believe in God. For some, He’s too big to see; for others He’s too big to miss. The work of the Holy Spirit, from the very beginning, has several characteristics. First, there is order. Life is an organic ordering of non-living material. And this ordering is truly miraculous. It is not simply the collecting of organic material into a new pile of organic material. It is the gathering of non-organic material into a living organism. And there, the inert world becomes a living being. We dwell on the living planet. Secondly, the ordering that takes place is beneficial and healthy. All things that live move towards greater life and the creation of yet more life. Nothing exists with the purpose of ending all things. For every setback and disaster, life moves to order itself in a manner that overcomes the setback. Life survives. Lastly, the ordering that takes place all around us is not only a living order that tends towards health and goodness, it is an order that always tends towards beauty. Some might immediately object that “beauty is in the eye of the beholder,” but I have never encountered any eyes that deny the beauty of the world we inhabit. Thank you, Father! Christ is in our midst! Wonderful picture (both written and photo). It makes me miss life in Ireland and northwest Wales. I walked by many such scenes there and was always struck by the beauty of God’s creation rising out of the ruins of man’s efforts. Thank you for your daily words. We here at St. Anne Orthodox Church have you in our prayers. Blessings on you and the entire monastery. The saying about beauty and the eye of the beholder is so outworn it’s threadbare. Indeed. And yet, I have never been able to write or speak about beauty without someone bringing it up. So I thought to go ahead and shoot it down ahead of time. This writing brings me to tears. Having little Greek and less Hebrew, I have seen an alternate translation as “saw that it was very beautiful.” I don’t know if that is apocryphal or inaccurate, but it sounds true. The word for “good” in both Hebrew and in Greek, have the additional meaning of beautiful. The ancients had a proper understanding of it, I think. International Standard Version is the only one on BibleHub that has “beautiful”, with “good” as a footnote, but only for the initial creation of light with “good” everywhere else. It seems rather inconsistent overall, and I’m apparently not the first to question the motives of some of the odder parts. “may be interesting for new wording on certain verses” according to that review might be the best place to stay when drawing any conclusions from ISV. After 28 years as a weather observer, I do not tire of the beauty of creation in sunsets, sunrises, rainbows, Aurora Borealis, etc. in many different locations from southern Saskatchewan to the High Arctic. I must also confess in witnessing what you most eloquently shared as part of the life (and death) cycles which were frightening even in their mysterious beauty. Thank you, Fr. Stephen, this is such a beautiful meditation! Glory to God for All Things! The earth shall declare His glory. Amen and amen. Didn’t C.S. Lewis say that if “beauty is in the eye of the beholder”, this will constitute the “abolition of man”? Fr. Tom Hopko (Blessed Memory!) had a wonderful lecture on this book….. While it is undeniable that the Holy Spirit continues to sustain and vivify God’s Church, drawing to the baptismal font the newly illumined and receiving into the heavenly mansions souls perfected for eternity, anyone who can’t see the “decline” of Christian culture doesn’t have his eyes open. The gates of Hades cannot prevail against Christ’s Church — we know that — but human individuals as well as human societies are capable of embracing or abandoning the Gospel. 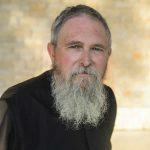 We can be grateful that we live in a time in which Orthodoxy seems to be on a bit of an upswing — in America, Africa, the former Communist countries — but it would be stark madness to deny that Christian Civilization, as such, is positively unraveling. Because we live in the midst of it, for practical reasons we have to acknowledge the unhappy reality. All things are possible with God, and we can hope and pray that Orthodoxy may yet lead a genuine revival. We don’t know. Either way, we must remain sober and watchful, as the Scriptures tell us. Some of us are rather skeptical about whether what the thing called Christian Civilization, at least the one that in 2015 could be described as “unravelling” rather than “long unravelled since the fall of Constantinople to the Turks if not even the events leading up to the Great Schism”, was ever all that Christian or all that civilized. Others here will be incomparably much better equipped and eloquent than I to deal with the life/death issue, so I’ll just add: even taking your point at face value, do consider that this article was written in the context of the last two new articles on this blog. “Life on earth is inexorable.” Indeed. “So shall my word be that goes forth from my mouth, it shall not return to me empty.” (Is. 55:11). God told the earth to “bring forth.” It just keeps happening. And when something dies, something else eats it, dissolves it and the life stuff just keeps happening. Asteroids happen and wipe out huge numbers of species, and life just keeps happening. Go to the foot of Mt. St. Helens. Life. The Holy Spirit is the “Lord and Giver of Life.” Life cannot help but be inexorable if the Holy Spirit is present with us. The ultimate inexorability is clear: “If the same Spirit that raised Christ from the dead dwells in you He shall also make alive your mortal body.” Romans 8 extends that to all of creation. But. There is also the particular and proper “shape” of the Church. It is “cruciform.” I have written previously about the “Long Defeat and the Cross.” I am far removed from having a very sanguine view of our present civilization. I am a priest who writes. I am not a holy elder, and anyone who thinks of me in such a fashion is deeply wrong. I do take care about what I write, and since I write in obedience to the Church, I try to be sure that what I write is true and not just arguing some private opinion. Obviously, some level of “opinion” accompanies everything we do. That said, it is also true that a blog article is not a volume of systematic theology. It covers, at the most, one or two small aspects of something. If you want a more integrated and complete view – then it would have to be read in the context of the 1600 or so articles that are on the blog. I’m glad that some articles are of help to you. I’m sorry that some seem “wrong.” That could be my fault – or the fault could lie elsewhere. As to exaggerated. I like to write in an “aphoristic” manner. It works best for me. Aphorisms are sometimes striking, even extreme. But, should be true. If something strikes you as wrong please continue to say so. It’s helpful for everyone concerned. I certainly hope by “followers” you mean that in the social media fashion. I really don’t need or want any other kind. It would be a real mistake to take me for more than I am. I am a sinful man. The short answer is that you can’t be Chicken Little. One of our human limitations is that we can only concentrate on one thing at a time. Philippians 4:8 reminds us to make that focus be on the good – not such that we are unaware of the other things, but that we spend the bulk of our attention on what is good, beautiful, true, etc. Nothing is bigger than God. Pertinent to our salvation, nothing is bigger than the life of Christ and the Resurrection He accomplished for our sakes: not death, not sin, not anything. No tragedy you can point to will trump it. Yes, unfortunately, the “upswing” in Orthodoxy is, I believe, directly attributable to the destruction of the Protestent churches by our current society. Many people are fleeing for the stability that Orthodoxy provides. I have no doubt that, once the society is satisfied (mostly) with the heresies it is forcing upon the Protestant denominations, it will turn to do the same to the Orthodox Church as well. Anonymity has been a shield for us thus far but that won’t last. “Christian Civilization”, it seems to me, is a bit of an oxymoron although I recognize that our society/civilization has been informed by Christian witness over time. I tend to think that whenever the Church has taken on a political role, it has moved far from God so it is best not to pursue such a course. Just my thoughts though. History is a very hard thing to think about up close. We all see trends and we can reasonably extrapolate from them. But that is pure reason and guesswork. History does some surprising things. Who would have thought Russia would be the most vocally Christian country in Europe 40 years ago? I didn’t see that one coming. We have seen empires, civilizations, etc., come and go. But we see God at work. And most of the work God does is not at all visible. “With a secret hand the Lord wars with Amalek from generation to generation.” Exodus 17:16 For an article on this wonderful verse – read this. Very true, but as Fr. Stephen pointed out in “Long Defeat and the Cross.” it has been happening for a very long time. I personally turn towards Father John Romanides identification that the west lost the “parasitic consensus” by the 9th century, and thus that was the beginning of the end for “Christian Civilization” in our society. Or was it Scholasticism? The Protestant Revolution? The rise of the “old” modernism? Or was “Christian Civilization” lost around the time C.S. Lewis wrote “The Abolition of Man”? Seems like today’s unraveling is simply the last wisps of smoke of a completely burned out building, such that even the most compromised/modernized “christians” can not deny that America (or Greece, or Russia, etc.) is no longer a “Christian Civilization” (this is not to deny that there is not a real “Orthodox” sub culture in the mother countries). History as a thing is indeed very hard to see at any distance. History at its best is a story that concerns all that man does and is in this world. As such it can only point a shakey finger in the direction of truth or transcendence. The 19th century’s conceit of exact knowledge of historical truth is without much merit. Each if us adds to the story in or own unique way and I have no doubt that one seemingly insignificant moment of beauty can be a fulcrum or tipping point. Nothing is determined. At best we can see only potential possible probabilities. But history is not a linear closed system. God intervened. As such the Cross becomes the heart of all history and the heart of a story forever changed and made new. And yet at the same time, according to Metropolitan Kallistos (Ware) there has never been a time on earth when more people have said the Jesus Prayer regularly. I would argue that the media driven culture is pushing more Christian people in the background, and these people in the background are more serious about their faith than ever before – because they have to be in response. Additionally we now have access to holy writings and prayers that we never had before. So many people remained faithful through all the years of Communist oppression. As Father Seraphim Rose predicted, it will be our turn here in the US. The faithful will be purified by the fire. I continue to remain positive. 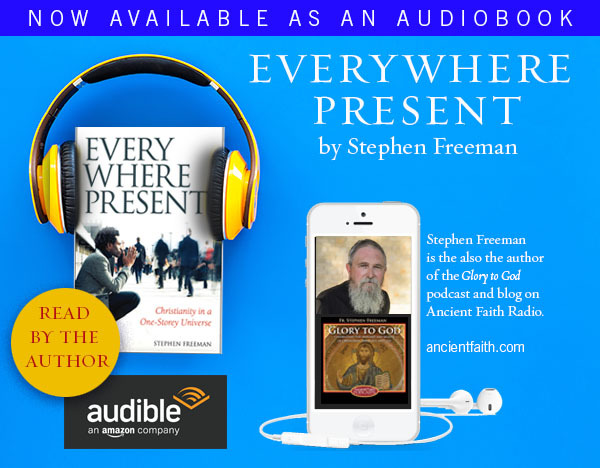 Thank you for posting the link to the AFR podcast by Fr. Tom. Here is the link to another version of his talk, a much more in-depth analysis (six part recording). My favorite part is the Q&A session at the end of the sixth lecture. Thanks for the link. I think it might be the same as the one here on Ancient Faith but for what ever reason that one has not been working for the last couple of days (and I have not listened to it in a while). This talk (the one you linked) is wonderful is it not! It reminded me that at one point in the past I intended to read some Karl Stern and I have never gotten around to it. Fr. Hopko also reminded me of Flannery O’Conner and her place in this. I don’t know if you have ever read any Flannery O’Conner, but her stories are absolutely arresting in their ability to describe (usually in an somewhat exaggerated pedagogical character) some aspect of our living in on the surface in sin and then show us our deeper hearts. Thank you for your recommendation to read Flannery O’Connel. I need to soon. Fr. Tom recommended her often too, but I never got around to it. The same with Karl Stern (I think Fr. Tom listed three of his books). As for “Abolition of man”, it’s available on Audible, and it is very hard to read/hear (I have so little time to read, so I love to listen to books in the car). There are hardly any Orthodox books on Audible, but there are several by C.S. Lewis (one read by C.S. Lewis himself, “Four Loves”). And “Beginnig to Pray” by Met. Anthony Bloom is there… It’s a wonderful book. My favorite part of this 6 part talk by Fr. Tom is the Q&A in part 6, which starts with Fr. Tom’s wonderful summary of the what Love looks like for us Orthodox – Christ on the Cross. And then a lady asks him a question about “preoccupation”, which he takes up with his wonderful passion and intensity. To warn us that anything matters only to the extent that it is about knowing God, and things that are important to God. I love how it comes full circle to the first blog post by Fr. Stephen. I have had that article printed for a while now, and go back to it often.